Elsie stared, wide-eyed, at the glamorous dresses displayed before her, all well over $5,000. By who? Certainly not her parents, nor could Jack afford such a gift, though he’d told her numerous times he’d give her the world if he could. And yet, what he gave her was much more valuable, for never had she loved so deeply, or felt so deeply loved in return. And soon they would be wed, united forever. “Enough daydreaming.” Mercedez clapped, jolting Elsie’s focus back on the task at hand. “You have many dresses to try on.” She grabbed Elsie by the wrist, urging her toward the east corner of the store. Elsie stumbled along behind, feeling like Cinderella stuck in Pippy-Longstocking’s body. Or maybe more like a prepubescent middle-schooler about to raid her mother’s closet. Her heart sank as she thought once again of her mother and the fact that she wouldn’t be able to share her long-awaited day with her. Oh, Lord, soften her heart. Even if just a smudgeone, and just for this one day. She sighed. 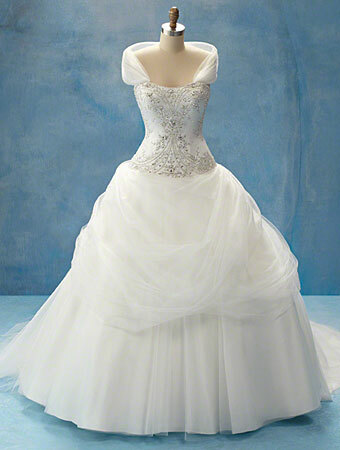 Beautiful gown or not, this was not going to be anything like the wedding she’d dreamt about. Elsie forced a laugh. “Pre-wedding jitters, I suppose.” No sense delving into her woes with a complete stranger. Doing so would only make her cry, which, considering she was wearing mascara, would streak her face with black. That would not bode well in the large number of selfies she planned to take. Note to self: Wear waterproof make-up the day of the wedding, because there were sure to be a lot of tears that day. Thankfully, most would be from joy. “Make yourself comfortable.” Mercedez flicked her hand toward a white leather chair. “I’ll return shortly with some gowns I believe will compliment your delicate frame quite nicely.” With that, she left, closing the door behind her. Elsie stared at her reflection in the three-way mirror, trying once again to figure out who could’ve funded her dress. 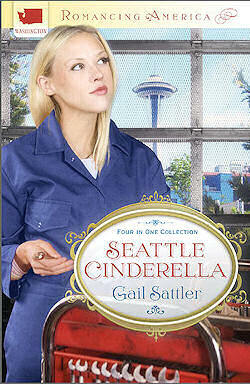 It was almost as if she’d slipped into a modern day fairy tale, like the kind Gail Sattler writes. Oh! Wouldn’t the author get a kick out of this unexpected turn of events? Elsie really needed to connect with her on Facebook, send her some photos from her fitting, maybe even write up something for that Inspy blog the author was part of. A grin emerged as an enchanting plan took hold. Though she wasn’t much of a mystery reader, and certainly was nothing of a writer, the mystery of her dress buyer was begging to be unveiled. Ha! Pun intended. And she knew just who would help her. YOU! The Inspy Romance Readers! Who do you think funded her dress and why? If it’s a long-lost friend or someone from her past, how did they learn about Elsie’s upcoming wedding and financial struggles? Share your thoughts with us. You never know, your comments might just make their way into the next scene. Return July 5th to read more of this story. I think it’s her boss. He appreciates her work ethic and the way she keeps things going at work. He knows she can’t afford an expensive dress, and he wants to make sure she has the wedding of her dreams. I think it’s her Mom. A gift to heal wounds and bring healing to their relationship. I think her mom secretly does not totally agree with her husband and is heart broken she cannot be a part of the day. So, she decides to pay for the dress with some money she has set aside. Her mom is probably sitting with a cup of coffee staring into space, tears running down her face because she is torn between two people she loves.